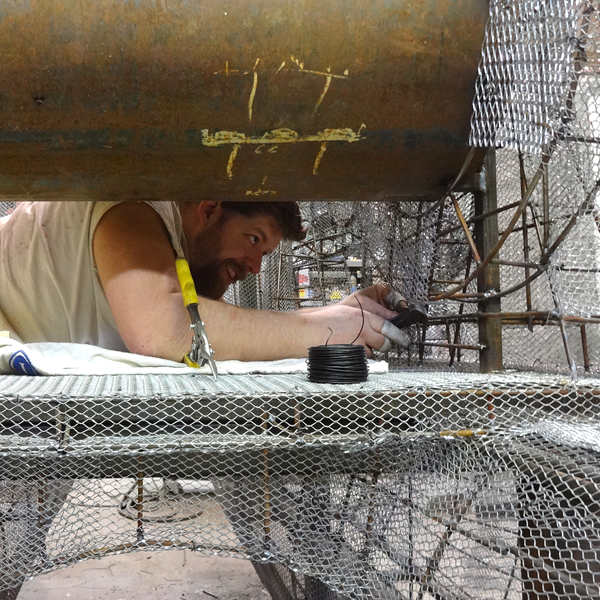 Attaching the lath, sculpting and painting can get pretty tricky at times, especially in the tighter areas. Matt was wiring today and had to really squeeze to get at the hidden inside bits. I teased him a little as he worked, but no fear for he will get the last laugh as I apply the concrete and carve these same tight areas. I'm looking forward to it... NOT.